Wrath brought us the wonderful addition to grinding rep, the champion tabard. No longer did casuals like myself have to actually do quests in order to become exalted with every major faction in the game. LOVED IT! Need more rep, run another dungeon! My priest didn't even have many flight paths, but she had rep with the various factions! With 5.1, Blizzard introduced the Grand Commendation of ____. This wonderful little perk basically doubles your rep gain for each thing you do for a group. I grabbed the commendation of the Tillers when I hit revered on Monday. I've managed to do the dailies about 3 of the 5 days this week and have managed to complete 97% of the way to Exalted already. Complete the dailies still in my queue from last night and I should be exalted by the end!! Point? I still need Dominance Offense rep. I still hate the dailies in that zone. I manage to die at least once a day due to an over-pull of mobs. There's just not enough people in that area killing the same thing to keep the populations down. I am hoping that the new 'work order' mechanic will help me increase my rep with DO faster. 8 days, I should be finally revered with DO and can grab my upgrades (without those pesky dailies)! In other news, I have seen Terrace of Endless Spring twice now. The Big Nash video was helpful, if for nothing other than to see the fights before hand. I would agree with him, these are some fun fights. From a DPS perspective, it's not obvious that there's a heal phase during Tsulong. More of a DPS adds, vs DPS boss fight. Last night my fourth tier token dropped and I now have a full 4-piece tier 14 set. Will it matter? More than once, I've championed for a faction, only to get a drop that is 100x better than what I would have bought from the quartermaster. 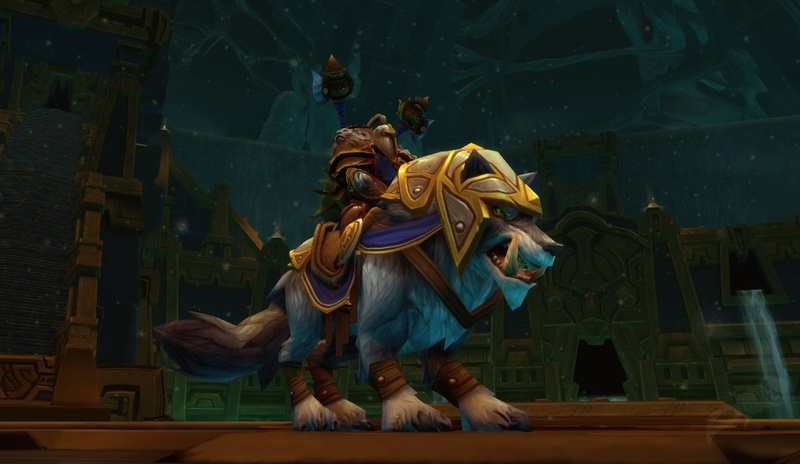 One decent upgrade (trinket, back, feet) and I'll be running the LFR for the SPA looking for 500 level gear, and all this work will be out of the window. I will probably be revered with Sunreaver's long before DO at this rate (i.e. ~10 quests at 160 rep each!). 4 more days and I could be sporting a new 496 back, plus have the Commendation speeding up my run to Exalted. Speaking of Thunder Island. How's the opening of the island going on your server? Malfurion has opened up the second new zone. I have 2 quests to turn into Scout Captain Elsia. I can't find her. I see the quest giver ?, but no shadow zone, no tunnel. I think she may be phased. On the wall? Oh, nm, from these comments, I see she is under a bubble AND on the wall.